A delayed treat for us in the mail on Friday: a note from the President of the United States. I've been making holiday cards for years. Every year since I've had the kidz I have made holiday cards featuring them. 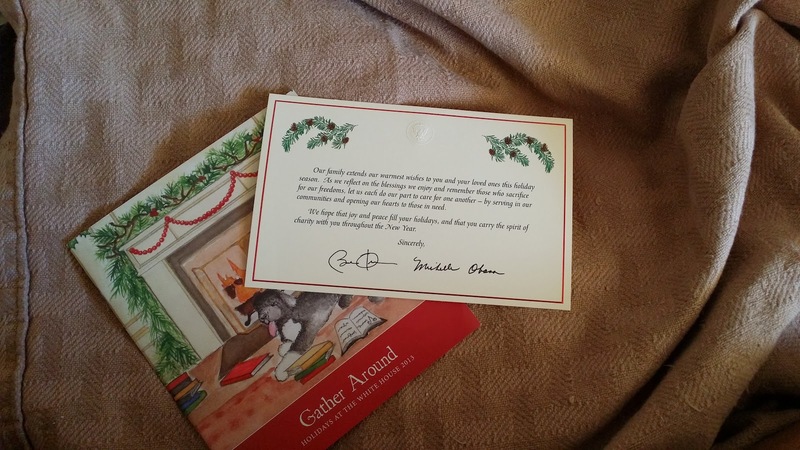 As was a tradition in my family when I was a child; my dad would always send a holiday card to the POTUS and V-POTUS. In cat years that means Presidents' George W. Bush and Barack Obama. Normally, you never receive anything in return, but sometimes you get lucky. President Bush’s staff never sent anything and for the first couple of years of the Obama Presidency, nothing from his staff either. That changed in 2011 when I received a non-descript card from the POTUS office saying thank you, No auto penning, just a plain unsigned card. In 2012 I received another thank you, again no auto penning, but it was an official thank you card with the POTUS seal on it, in a double envelope. 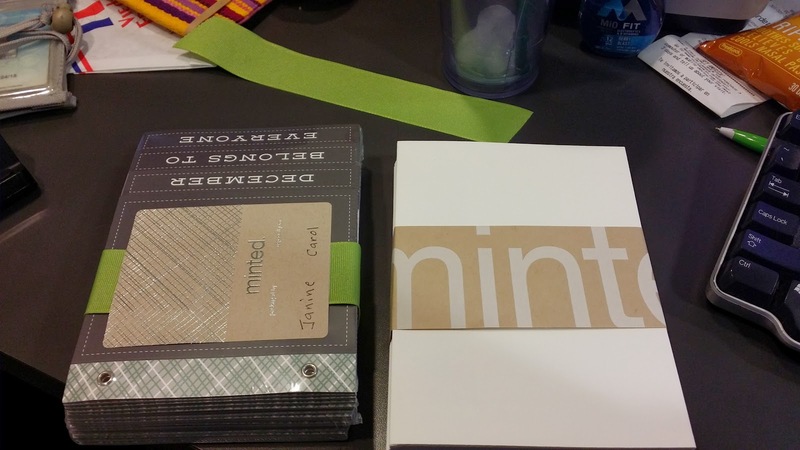 This year to my surprise I got my first Auto-Penned card. 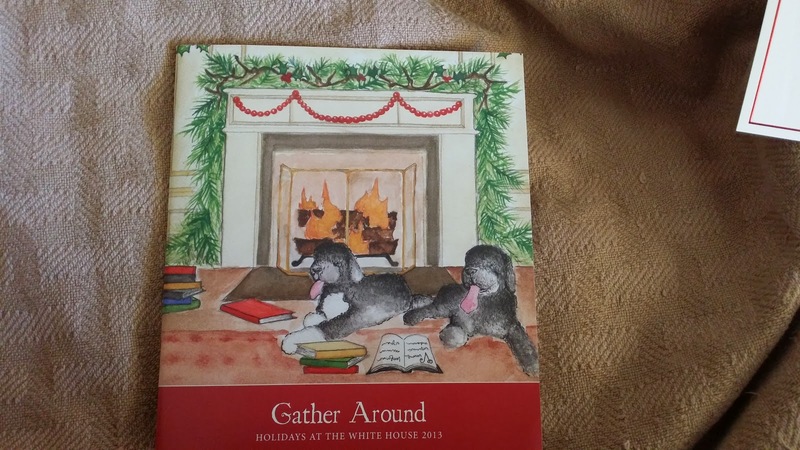 It included a booklet about holidays at the White House. 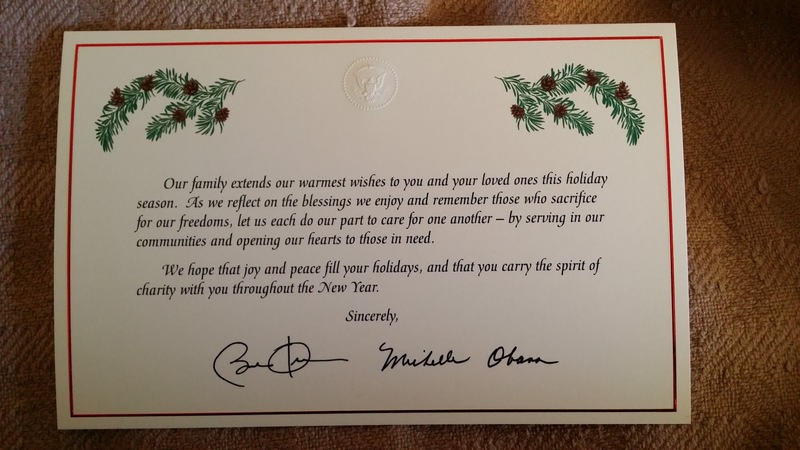 When it comes to Holiday cards from the White House there are 4 levels; the no auto pen card w/wo seal, the auto penned card, the auto-penned Official Holiday Card, and the personal letter signed by the POTUS. It's a fat chance that I would get an official holiday card since they are mostly only sent to Congress, the Senate, Heads of State and a chosen list of people (big donors or celebrities). However, I am hoping for the personally signed Thank You letter one day. For now, this is pretty cool. By the Way, you almost always get these way after the holidays. I got my first in February.